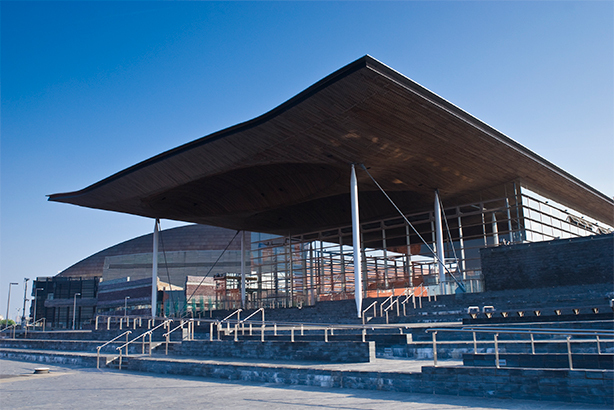 The Welsh Assembly must reach beyond the country's fragmented media and communicate its work to people directly via digital channels to address a "democratic information deficit", according to a new report. The ‘Creating a Digital Dialogue’ report, by the Digital Information and News Taskforce, advocates encouraging the Assembly to establish an integrated content service using social media and other channels to engage directly with the people of Wales. And in a bid to build citizen engagement with the Assembly, the taskforce calls for placing people, rather than the institution or its processes, at the heart of topical news stories about its work and to aim to make an "emotional connection with the public". The taskforce, chaired by Leighton Andrews, professor of practice in public service leadership and innovation at Cardiff University’s Business School, also made a series of other recommendations. It said the Assembly should reimagine itself as a content creator, pushing content directly to platforms that audiences are already consuming, such as social media and dedicated email newsletters. Content should be designed to help people "understand the connections, differences and working relationships between the Assembly and other key organisations in Welsh public life to address the democratic information deficit," the report said. These are radical proposals to use modern digital communication to better understand what people are thinking and concerned about, to engage in real-time with people and to share with them how their representatives are responding to these issues. Assembly comms should not shy away from using popular language in order to connect with people more easily, according to the report. All comms should be designed with the user at its heart and should properly explain the impact of the Assembly’s work on people when explaining its business and policies, the taskforce also recommended. There should also be a presumption of open data so that others can freely use or re-use and redistribute Assembly data, according to the taskforce. Andrews said: "These are radical proposals to use modern digital communication to better understand what people are thinking and concerned about, to engage in real time with people and to share with them how their representatives are responding to these issues...Assembly Members and staff must recognise their role as content creators, and see the Assembly as a content platform which should reflect the nation’s conversations about the issues which are of most concern to it." Andrews said the Assembly had already made headway in its drive towards embracing digital communications. But, he added: "In an age where increasing numbers of people are looking to social media for news, and traditional media outlets are providing less political coverage than ever, the Assembly must provide the people it serves with engaging content, delivered in formats that they wish to use."